The World Health Organisation estimates that over 300 million people suffer from postnatal depression across the world, making it the leading cause of disability affecting women. Postnatal depression affects women after they’ve given birth. It remains largely under diagnosed, particularly in low and middle income countries. This is despite the fact that there have been improvements in awareness about its symptoms as a result of efforts such as the global mental health initiative. In Zimbabwe rates of over 30% for postnatal depression have been recorded. Studies show that high levels of stress after delivery, previous history of depression and high depression scores during pregnancy are predictors of postnatal depression. But most healthcare facilities in Africa don’t have screening tools that would enable them to accurately diagnose women. On top of this, cultural factors make it difficult for women to talk about the fact that they’re feeling depressed. Research in Zimbabwe, found factors that increased the odds of a woman developing postnatal depression included recent negative events such as death, domestic violence, and HIV infection. We have also found depression to be associated with poor problem solving skills. In South Africa postnatal depression rates of over 30% have been associated with a lack of food, financial insecurity, interpersonal conflict and unwanted pregnancy. Also read: "I had no idea it could last for years"
Screening tools are critical in identifying those in need of care and most of the ones available can be self administered. Where literacy is an issue, picture based tools such as those developed in Uganda can be used. How can PND be treated best? Beyond the issue of diagnosis lies the problem of treatment. Postnatal depression is treatable with low cost anti-depressants, which are readily available in Africa. In addition to medicines, cognitive behaviour therapy has also been shown to be effective. The advantage of therapy is that it can be delivered by non-professionals such as village health workers. Using non-professionals to help treat depression has steadily gained recognition as an effective way of reducing the treatment gap for postnatal depression and other mental health issues. This is driven in part by a shortage of psychiatrists or psychologists. Non-professionals such as village and community health workers and other auxiliary health staff can be effectively trained to identify and provide therapy for postnatal depression. To overcome the challenges facing women with postnatal depression in Zimbabwe we piloted group problem solving therapy. A critical feature of our work has also been the development of culturally appropriate screening tools which can be used by non-professionals. The pilot has had encouraging outcomes. In the study 210 semi urban women attending postnatal clinic six weeks after delivery were interviewed. The study used strategies developed in an earlier pilot which showed that problem solving therapy was feasible and acceptable in a low resource setting. The study successfully applied group problem solving therapy for postnatal depression. From this initial group, 64 were diagnosed with postnatal depression. About 58 mothers were randomly picked to participate; 30 were assigned to peer counsellors for therapy and 28 were given a first line treatment drug for depression. Those who had psychosis, severe depression, and suicidal tendencies were excluded from the study. Our results showed that women allocated to group problem solving therapy for their depression recovered faster than women who were given medicine only. The group therapy sessions consisted of three key components referred to in the Shona language as kuvhurapfungwa (opening the mind) kusimudzira ( uplifting) and _kusimbisa (strengthening). The three components empowered participants to list the challenges they were facing, identify priority areas and arrive at realistic solutions. This study demonstrated that group therapy was more effective than treatment using standard depression drugs in dealing with mild depression after childbirth. Also read: Adele on becoming a mom: "I felt I'd made the worst decision of my life"
Examples from Zimbabwe and several other low and middle income countries like Uganda have shown that it’s possible to identify and treat mild postnatal depression using local resources. There is now a need to find ways of scaling up group therapy. For example, it should be encouraged and integrated as part of routine antenatal and postnatal care. 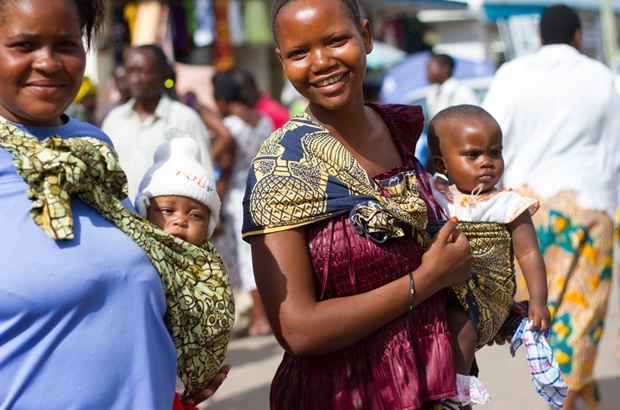 Finally, while group therapy won’t replace the use of antidepressants, it can make a major contribution to managing postnatal depression in low resource settings like Zimbabwe. Worried about your child's sleep problems? Could that be why you're depressed? How did you deal with postnatal depression? Did you find talking about it helped? Tell us by emailing to chatback@parent24.com and we may publish your comments.